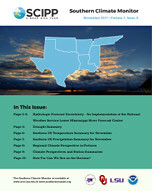 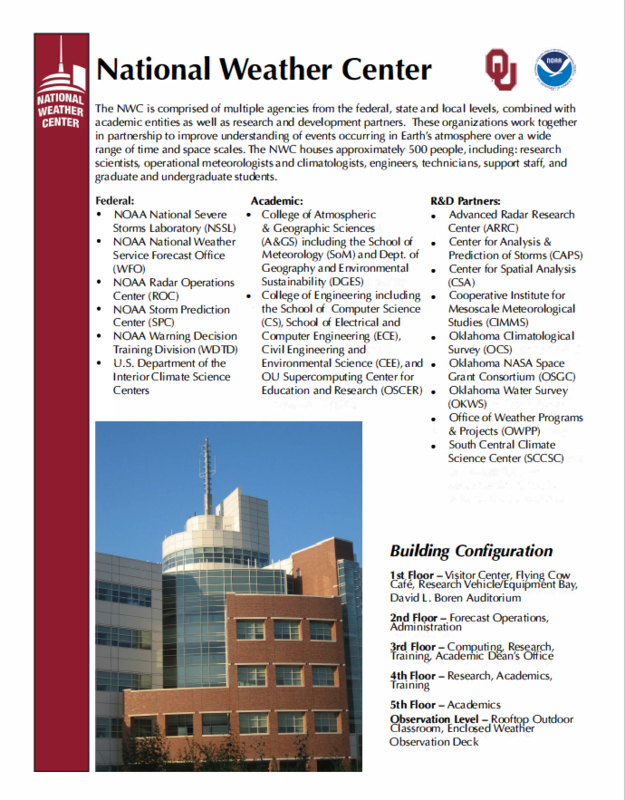 A brochure about the National Weather Center. 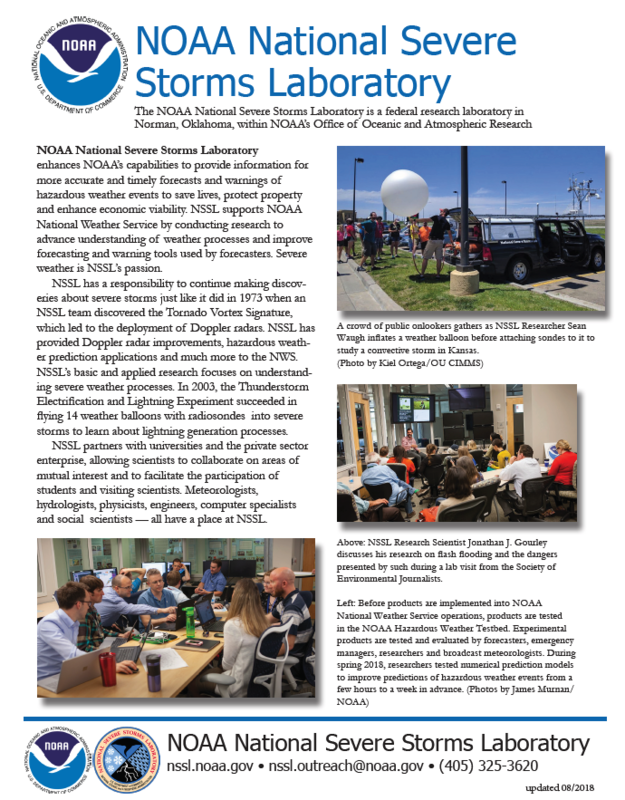 An overview of the NOAA National Severe Storms Laboratory in Norman, OK. 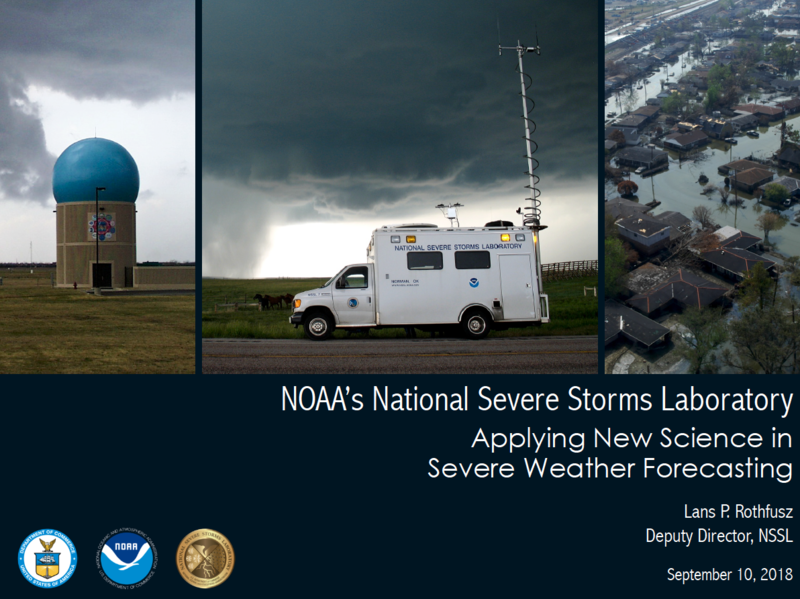 The presentation "NOAA's National Severe Storms Laboratory: Applying New Science in Severe Weather Forecasting" was given by Lans Rothfusz, Deputy Director of NSSL, at the Weather and Climate Impacts on Military Operations Workshop on September 10, 2018. 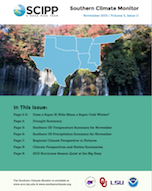 Does a Super El Nino mean a Super Cold Winter? 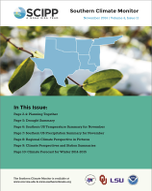 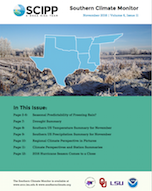 Seasonal Predictability of Freezing Rain?